Feline panleukopenia, better known as distemper, used to be a leading cause of death in cats across the United States. Fortunately, it is now possible to vaccinate your feline against this extremely contagious and deadly disease. While the vaccinations are extremely successful, they are reliant on owners taking responsibility for their administration. Since each vaccine is only effective for an approximate period, it is essential that you follow your veterinarian’s guidelines regarding re-administering booster shots at the appropriate time. Even being just a few days late with providing the necessary prevention could leave your cat vulnerable to contracting the condition. Feline distemper is primarily spread through contact with an infected cat’s bodily fluids including saliva, urine, blood, nasal discharge and feces. However, it can also be passed between animals by fleas that have been feeding on a contaminated feline and by humans who do not observe robust hygiene standards when handling infected felines and equipment that they have been using. 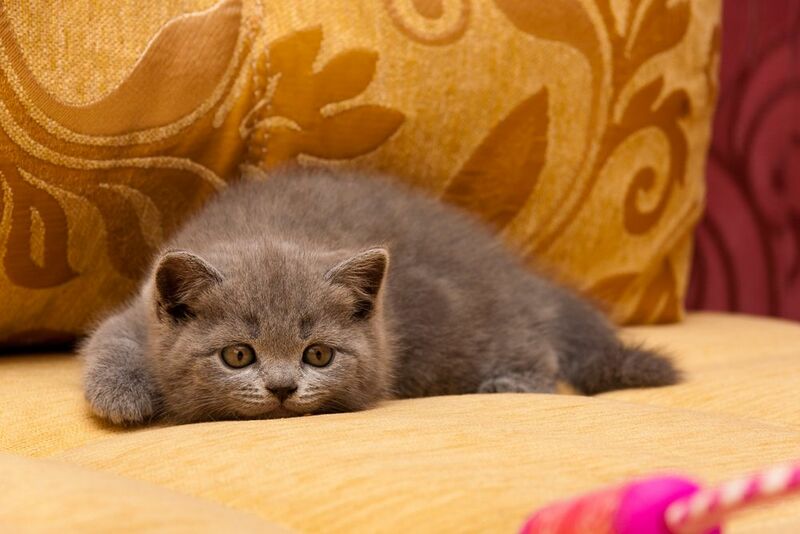 This is because the feline distemper virus can survive on surfaces for up to 12 months. It is also highly resistant to virtually all cleaning products except bleach. What happens to cats that contract feline distemper? The feline distemper virus attacks the host’s blood cells, particularly those in the intestinal tract and bone marrow. If your cat happens to be pregnant, the virus will also assault the stem cells of the unborn kittens, almost always triggering spontaneous abortion. Although feline distemper is normally fatal in itself, felines who contract the disease also find that they are significantly more at risk of catching other viral and bacterial diseases. If your beloved cat is presenting with any of the symptoms listed above, you should seek the urgent attention of your vet. It may not be that your pet has distemper at all, since the virus can mimic a number of other health conditions including pancreatitis and feline immunodeficiency disorder. However, it will be necessary for your vet to run tests to rule out the presence of feline distemper. If you would like to know more about feline distemper and the symptoms that the condition presents with, or if you would like to arrange an appointment for your cat to be seen by one of our experienced veterinarians, please don’t hesitate to call our Lake Mary, FL clinic.